Approximately 5,400 jackets have been recalled by the Boy Scouts of America, as they pose a strangulation or entrapment hazard to children. The recall affects Cub Scout Wind Tech jackets that were sold at Boy Scouts of America retail outlets, nationwide and online, from November 2009 through July 2011. The jackets have retractable cords with toggles at the hood and neck area, and at the waist. It has been determined that the retractable cords and toggles can pose a strangulation or entrapment hazard to children. This recall is for the blue Cub Scout Wind Tech jackets that are nylon with a polyester lining, long-sleeve, and a full zipper front. They have a Cub Scout wolf head emblem embroidered on the upper left chest. The SKU numbers on the affected product are: 73291, 73292, and 73293, and are printed on the hangtag that is attached to the jacket when it was sold. 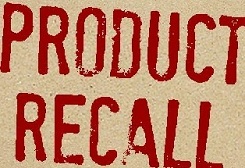 While no incidents of injury have been reported, guidelines were issued in February 1996 by the Consumer Product Safety Commission (CPSC), which were incorporated into an industry voluntary standard in 1997, to help prevent children from strangling or getting entangled on the neck and waist drawstrings in upper garments, such as jackets and sweatshirts. Consumers are being instructed to remove the cords from these jackets to eliminate the hazard, or return the jacket to Boy Scouts of America for a full refund.